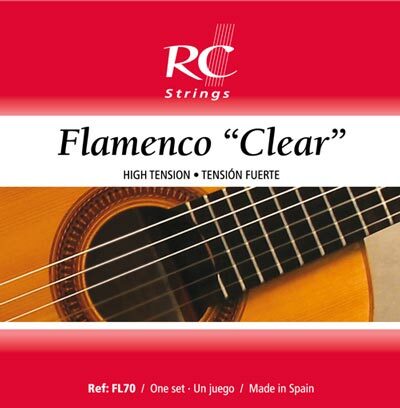 The FL70 flamenco set from RC Strings offers a sound full of emotion. The high-tension set combines traditional silverplated basses with clear nylon trebles instead of the customary black nylon trebles. This change provides a mellower response in the higher registers.